I developed a love of reading at a pretty young age. Some of my childhood favorites included Encyclopedia Brown, The Hardy Boys, Scott Corbett’s The Lemonade Trick, Sterling North’s Rascal, Henry Higgins, and How to Eat Fried Worms. I’ve always thought reading was cool, and I credit it with fostering my love for writing, as well. The two go hand in hand. 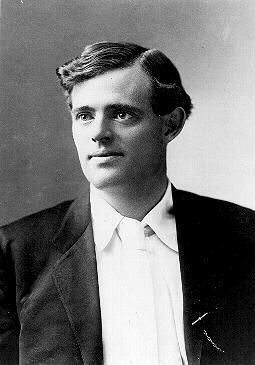 My favorite author, hands down, was Jack London. I fell in love with his stories, particularly Call of the Wild and White Fang. Hardly a surprise there. I found his writing to be very accessible and lacking the simplicity and gimmickry of, say, a Hemingway. His tales were set in exotic locations and featured colorful characters, both human and animal. One of London’s biggest strengths in my opinion was his ability to anthropomorphize animals. He wrote so convincingly of Buck’s transformation from domestic pet in sun-drenchd California to alpha dog of the Yukon who (spoiler alert!) answers the call of the wild that I believed with every fiber of my being the thoughts attributed to the St. Bernard-Scotch Collie mix. The same holds true for White Fang, the wolf-dog hybrid born in the Klondike who, in direct contrast to Buck, travels a path to domestication. White Fang’s initial exploration of his environment when he first leaves the safety of the cave as a cub is a gripping scene full of suspense, danger, and discovery. My favorite London novel of all, however, centers around people rather than animals. The Sea Wolf reeled me in and so captivated me I read it several times over the years. It pits well-mannered, sophisticated Humphrey van Weyden against nefarious sea captain Wolf Larsen in a high-stakes game of life or death that features mutiny, survival, murder, and romance. What’s not to love, right? As a teenager, we often visited my aunt Nancy, who lived in Sebastopol, California in the 1980s. She happened to be a stone’s throw from Jack London State Historic Park, and we ventured out there one time to wander around the 47.5-acre property that includes the cottage where my favorite author penned some of my favorite books. It’s a beautiful place, and I swear I felt the energy of the man amongst the towering redwoods. Which makes sense: he was cremated and had his ashes buried there. Because everything comes full circle, I have been rereading Jack London’s classic novels again. I was browsing through Amazon’s Kindle listings recently and found a whole bunch of free (or 99-cent) books that had fallen into the public domain. Among them? A collection of 22 of London’s novels and short stories. Score! Reading them again has made me rediscover everything I came to love about Jack London all those years ago. They are every bit as good as I remember them being when I was a kid. But really, is it any wonder? Jack London was a novelist and social activist who loved nature. My kinda dude! If you’ve never read any of his works, I highly recommend them. “The proper function of man is to live, not to exist. I shall not waste my days in trying to prolong them. I shall use my time.” Exceptional words. Call of the Wild is a favorite in our house. It was one of many books I read to my son when he was little. I like to think that is the reason he enjoys reading so much now that he’s an adult. Hopefully, people will say nice things about you BEFORE you die! That’s why I’ve always thought it would be nice to fake your own death – just so you could enjoy the outpouring of sympathy from mourners. Unless you were a real jackass, of course! His books were not girly enough for me, but I did read some of his short stories as an adult and realized he was quite gifted. I also remember seeing info about the park when we were in Napa Valley. Beautiful area! Funny, “not girly enough” was a selling point for me! You should visit the park if you ever get a chance, though. It’s a beautiful place even if you never cracked open a single page of his books. Mark, I love the way you expressed that. In fact, I love the way you expressed this whole post because I could feel your admiration and passion for London and his talent through your every word! And it makes me want to seek his books and read them myself. Sounds like an amazing guy! Thanks so much for sharing, buddy. I will definitely look for his books at Barnes & Noble! Please do, Ron! And let me know what you think. I’d definitely start with Call of the Wild, as it’s his best-known and most-loved work. I also enjoyed those books as a kid, and wouldn’t mind reading them again. Too bad there are so many other books I want to read first! I know what you mean, Dave! It’s tough to pull yourself away when there are so many great current books waiting to be read. Sometimes, you just have to pull off the Bandaid and go for it. I definitely can see how he influenced your work. I did think you did an excellent job of bringing out the natural scenery in No Time for Kings. I liked Jack London too. Read all Sherlock Holmes and all John Carter of Mars and most Landmark books by age 15. I never got into any of those, but somehow Sherlock Holmes just seems so much cooler than the Hardy Boys.